Innovation was the catalyst that specifically enhanced the growth of my business. By understanding innovation, and how it works, Nom Noms World Food has already won 18 internationally recognised awards. Below are 5 tips that will help entrepreneurs be innovative. The first step towards being innovative is understanding exactly what it is. The essence of innovation of business is based on value. There is no value in coming up with many fresh or new ideas that aren’t relevant to a problem or valuable to a particular consumer. Understanding innovation as fresh thinking that creates value for customers, shareholders, and stakeholders, will help you manifest it into your life and business. When the idea of Nom noms began to come to fruition, I was juggling a family life and growing a business. Furthermore, I made the move from the medical industry to the food industry. Challenging the status quo was no easy task since my knowledge within the food industry was limited. Luckily my knowledge in business, leadership and communications are all transferable, giving me an opportunity to adapt to my new surroundings. Bringing a new idea into a market that you have little knowledge about makes it incredibly difficult to the barriers of innovation. Alas, I put my head down, got my hands dirty, and I am where I am today because of that. The point I’m trying to make is, far too often do we struggle to be fully creative, because we have made ourselves too comfortable. Most of the time innovative ideas are born by contemplating the problem in an environment or situation you are typically not accustomed to. Innovation thus demands that we be agile entrepreneurs. While trying to be innovative, entrepreneurs and creatives often make the mistake of forcing inspiration. The reality is you cannot plan for your next great idea, because you never know exactly when it will come to mind. Instead of trying to force inspiration into solving the ‘problem’ that is at the centre of your big idea, rather keep the problem simmering in your mind and allow external factors to interact with it. The only internal processes that should be prominent in your mind is the challenging of your internal status quo. Challenge your ideas until they have won you over. Once you have exhausted all attempts to challenge an idea, validate your assumptions to feel more confident in pursuing it. Think of ideas as people in your head. Challenge each idea until the strongest one shines through, so much that you can only assume it’s going to help you succeed. Doing this allows entrepreneurs to gain a pure sense of inspiration, and without inspiration, innovation has no fuel. Innovation has its origins rooted in solving a problem within segmented markets. Your problem should thus be your guide. An unfulfilled need should be one of your key sources of inspiration. The idea of Nom noms world food was born from a very specific and personal need. As a busy working professional and mother of 3 very young children under the age of 3 years. I simply wanted an authentic, convenient & inspiring meal option for my family, and one that was made with no nasties. 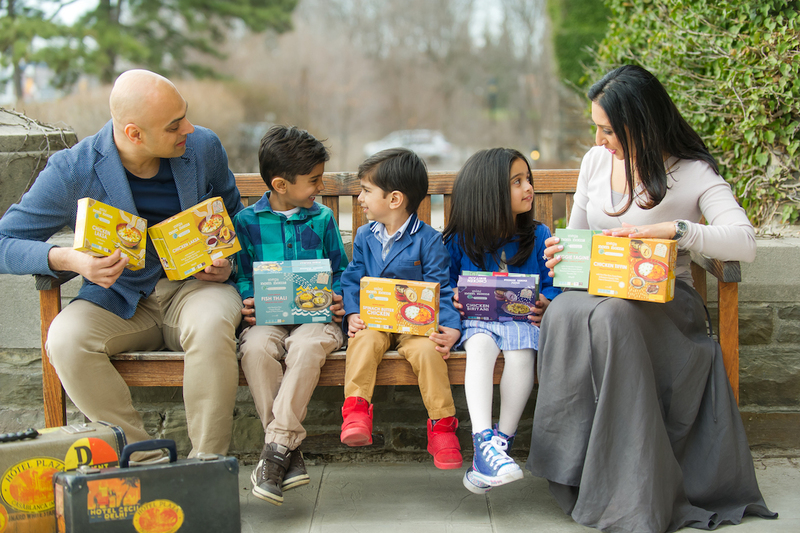 I wanted my children to grow up with a diverse palate from a young age and explore the flavours of the world. Soon enough, through market research and surveys we found that we shared a common problem with the majority of busy working professional who do not have the time to cook dinner or prepare a daily lunch, for themselves as well as their children. In-fact 80% of parents surveyed felt guilty about what they were feeding their kids and themselves due to the time constraints in preparation and sourcing ingredients to cook global cuisines. Another problem associated with this problem, is health. The amount of fast – food enterprises available to ‘solve’ this problem, is insurmountable, and are backed by big money. 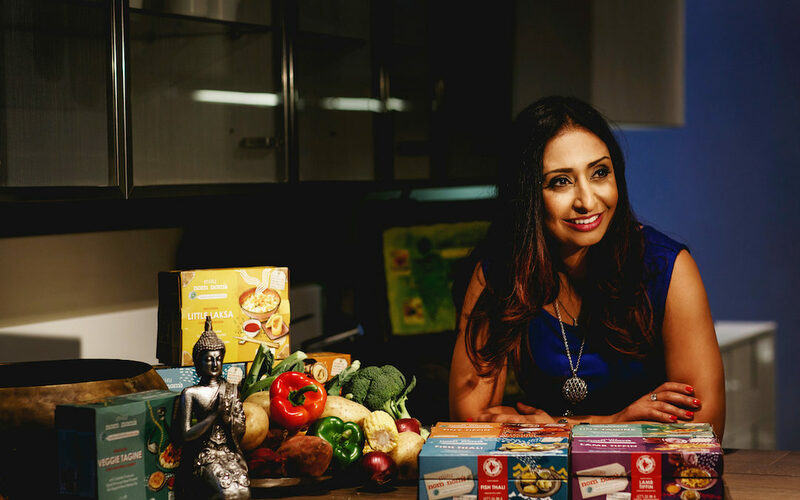 It was these two problems that guided me in producing a successful innovative solution: Ready meals that are designed for convenience, inspired by health and exotic flavours, and that are suitable for the entire family. Furthermore, the genius of the innovation, not only benefits the target market, but also benefits the children of the Akshaya Patra Foundation in India. To-date Nom Noms has sponsored over 400,000 meals to 300 children attending Brijapur Primary School every day. The innovation addresses a commercial problem as well as a socio-political problem and so Nom Noms World Food feeds the body, mind and soul in this respect. Solving the above problems wasn’t as simple as providing another healthy ready meal option to the market, but was borne with creativity at its core. To channel this theme in particular, it came down to putting ourselves in the shoes of our customers to such an extent that we treated ourselves as if we were them, posing the question: ‘What do I want to experience when purchasing a ready meal?’. Nom noms world food produced innovation through story-telling. The food itself is based on a variety of flavours from various corners of the globe. Further to this, Nom noms developed an innovative-interactive packaging format that covered interesting facts, engaging stories, and quizzes about the meals. What we found ourselves experiencing was the sensation of inspiration. We were inspired by what we designed. Innovation is not only about solving a problem with an innovative idea, but is also about recognising that one of the pillars of innovation is inspiration and how it is further communicated. If you can create a product that not only solves a particular problem, but also inspires your target market, you have successfully brought your innovative idea to life.